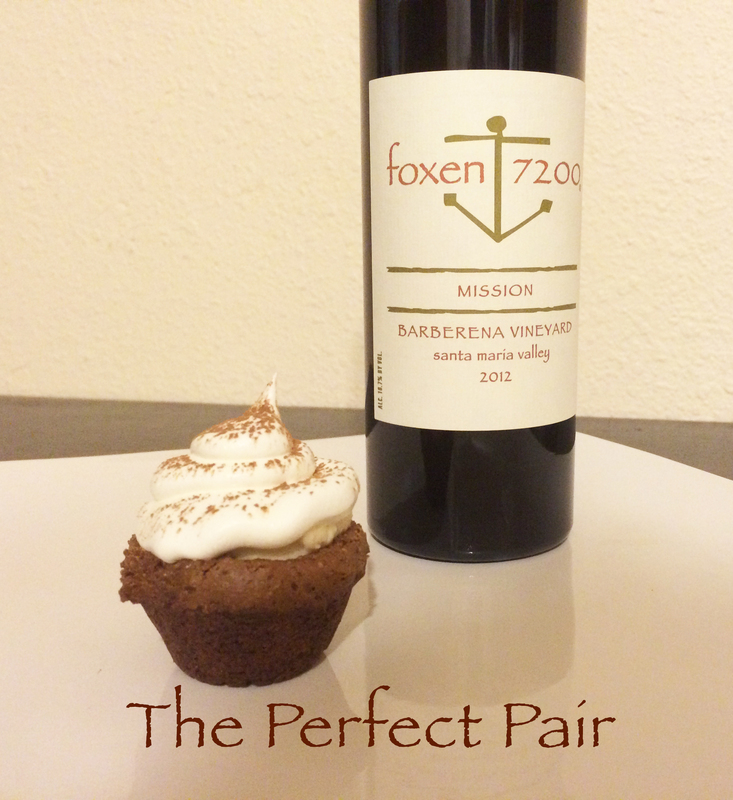 In honor of our 2012 Mission release today we wanted to blog about the perfect pairing for this wine. Whether you are trying to impress guests or you are just in the mood for baking, this recipe and pairing is sure to make any night better. Our 2012 Barberena Vineyard Mission is fortified with grape brandy making the alcohol percentage much higher at 15.8%. This wine is wonderful by itself and could be paired with many dishes but these Tiramisu cakes are a crowd pleaser and are pretty quick and easy to make. The 2012 Mission is available in our tasting room and our web Store today click here to buy this holiday favorite. 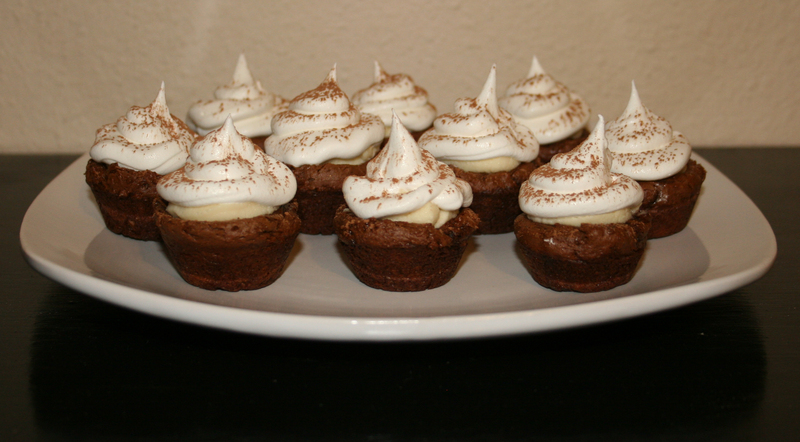 And with a quick trip to your local market you can enjoy these wonderful Mini Tiramisu Cupcakes to pair with it. 1. Preheat oven to 350ºF. Spray mini cupcake tins with nonstick cooking spray. For the cakes, combine cake mix, sour cream, egg, coffee granules, and water and mix well. The batter will be very thick and sticky. Divide the batter evenly into the mini cupcake tins. Bake for 8-10 minutes or until a wooden toothpick inserted in center comes out clean. The cakes will have the texture of a cream-puff once baked completely. 2. Place whipped topping into a large resealable plastic bag; secure and set aside. For filling, combine mascarpone cheese, powdered sugar and vanilla and mix until smooth. Place filling into an additional resealable plastic bag; secure and set aside. 3. Remove pan from oven and press the tops of the cakes with a tart shaper, pestle or whatever else you have on hand to make slight indentations. The cakes will bounce back a little but don’t worry you just need a small indentation. Cool the cakes for two minutes in mini cupcake tin then remove the cakes and put them on a cooling rack. Brush the tops of the cakes with the coffee liqueur while the cakes are still warm, then let the cakes cool completely and soak up all of that yummy liqueur. 4. Then trim the corners of both the bags you set aside earlier. First pipe the filling over the cakes in the small indent you made earlier. 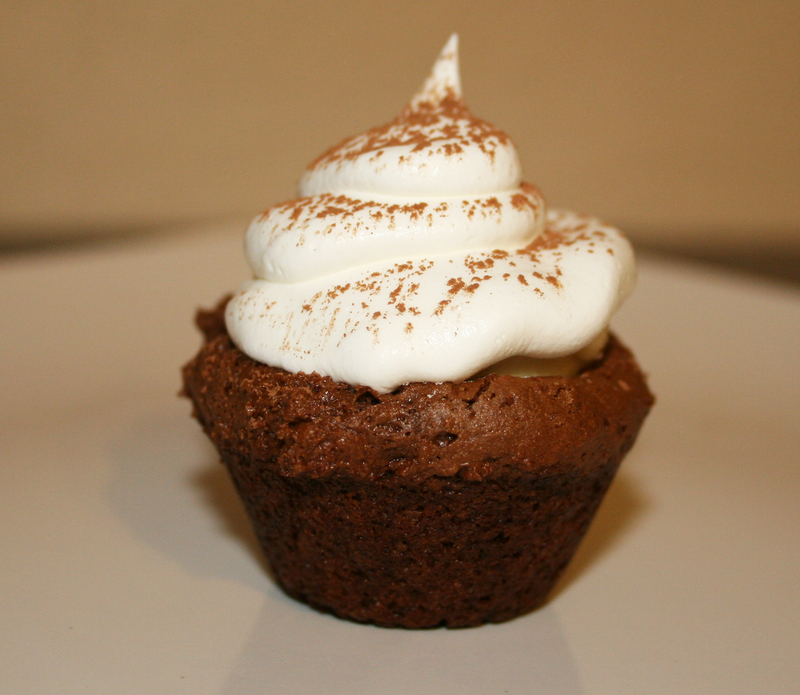 Then pipe the whipped topping over the filling and sprinkle with the cocoa powder. 5. 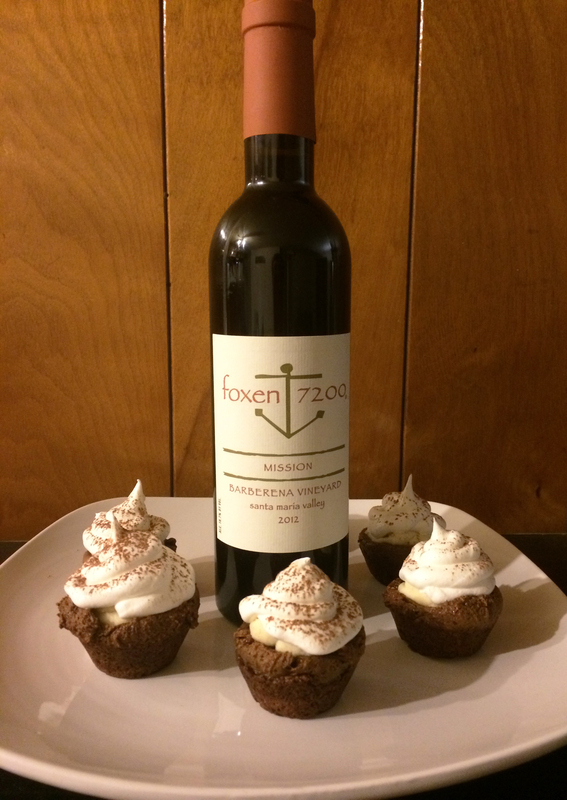 Enjoy, with our 2012 Barberena Vineyard Mission dessert wine. Yummy!